Healthcare technology leader Kiran Mahadik joins the Sepsis Alliance Board of Directors to help save lives from sepsis – the leading cause of death in U.S. hospitals. San Diego, Calif, April 3, 2019 – Sepsis Alliance, the nation’s leading sepsis organization, is pleased to announce that Kiran Mahadik, the Director of Digital Platforms at Stryker, has joined its Board of Directors. Mahadik’s passion for enhancing healthcare quality and affordability through technology inspired her to join the Sepsis Alliance Board in its mission to save lives and reduce suffering from sepsis – the body’s life-threatening response to an infection that takes a life every two minutes. As the Director of Digital Platforms at Stryker, Mahadik is dedicated to improving protocol-based care and patient outcomes through the use of digital technologies. 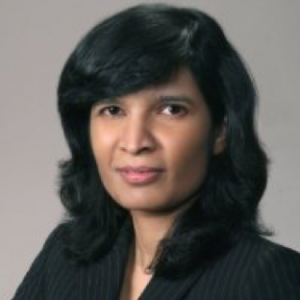 She is a seasoned healthcare technology leader with over 20 years of experience in technology strategy, portfolio management, and digital platform delivery in medical device, provider and payer environments. “I joined the Sepsis Alliance Board of Directors, because I feel that with my experience viewing healthcare through the lens of technology, I can uniquely contribute to the fight against sepsis,“ said Mahadik, who has an MBA from UC Berkeley, a Masters in Electrical Engineering from Utah State, and certificates in US Health Policy and Global Health from Harvard University. Sepsis Alliance is the leading sepsis organization in the U.S., working in all 50 states to save lives and reduce suffering by raising awareness of sepsis as a medical emergency. In 2011, Sepsis Alliance designated September as Sepsis Awareness Month to bring healthcare professionals and community members together in the fight against sepsis. In 2018, Sepsis Alliance created the award-winning national campaign, It’s About T.I.M.E.TM, to educate the public about the signs and symptoms of sepsis and to highlight the urgent need to seek treatment when symptoms are recognized. Sepsis Alliance gives a voice to the millions of people who have been touched by sepsis – to the survivors, and the friends and family members of those who have survived or who have died. Since 2007, sepsis awareness in the U.S. has risen from 19% to 65%. Sepsis Alliance is a GuideStar Platinum Rated charity. For more information, please visit www.sepsis.org. Connect with us on Facebook and Twitter at @SepsisAlliance.